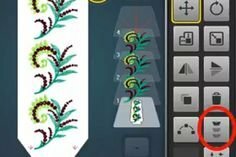 Learn to use Endless Embroidery to help you line up embroidery designs for the most precise placement for multiple designs such as borders. It also creates registration marks that are stitched that help take the fear out of re-hooping. Using Endless Embroidery is perfect for embellishing bed linens, table liners and more.